Hi, I’m Shamrock and I found a wonderful new home through the work of Pet Pros rehoming team in just a few days! I highly recommend them! 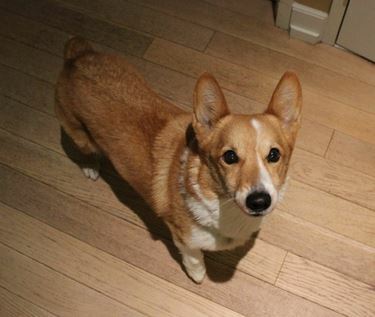 This adorable Pembroke Welsh Corgi is 9 years young, healthy, neutered and up to date on his vaccinations. He will be rehomed with all of his supplies. Shamrock can be a bit nervous when he first meets you, but he soon warms up and his very sweet personality shines through. He is an all round great dog. Shamrock is being rehomed by his owners, who are absolutely heartbroken to have to make this very difficult decision. The have realized that for the sake of Shamrock’s happiness and well-being, finding a new home for him is a must-do. They recently welcomed their first child into their young family, a little boy, who is now starting to walk. Shamrock has not accepted this little newcomer, despite several months having gone by.? They cannot continue to keep Shamrock and their son separated in their small apartment much longer, and finding him a new home, without small children, is an urgent situation. Shamrock’s ideal home will be with a couple or family with older kids (past age 10). It would be fantastic if the new owners live in a rural area, without the traffic noise, crowds and hustle and bustle of city life. Being a herding dog, Shamrock would thrive in a country setting with lots of room to romp and play – or at least in a suburban home on a quiet street with a nice, big backyard to enjoy. Accessories Included: Crate that he sleeps in, dog bowls, leash. He is skittish, but friendly. 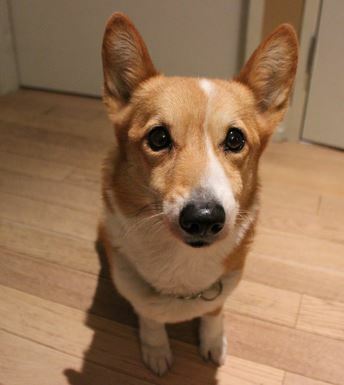 Very nervous and barks at most sounds. Raised as a city dog, but loves to run and be outside. As a herder, tends to try and herd other dogs when in park. New York apartment living. He sleeps in a crate at night and actually naps in the crate willingly. He had run of the house until our son was born. My wife and I have been together for 6 years and recently had our first son. Shamrock was her dog when we got together. We both worked and the dogs were home most of the day on their own. After our son was born, my wife decided to stay home and I have a new job that allows me to work from home as well. However, Shamrock is very friendly with us, but he growls and snarls at our son. We thought he would get over it, but we have had to keep them separated. Now that our son is walking, we have become more nervous and have shrunk the available area Shamrock has to live in. We worry about Shamrock around our son, but also want Shamrock to be with people who can give him more space and spend more time with him. Shamrock’s Favorite Toys, Foods, Activities? He loves plush toys that he can play fetch with. He loves all food and is snippy around food. His favorite activities are running in the dog park. Why is Shamrock Being Rehomed? He doesn’t get along with our son. But even more, we hate that we cannot give him a better life. He is a great dog and we really don’t like that we can’t play with him more and give him more space. Person or family who can spend some time with Shamrock and give him a loving home.